Each year a NHS tenth grade student is recommended to be the school's candidate for the Hugh O'Brian Youth Leadership (HOBY) Seminar. Students with leadership potential are given the chance to submit an essay describing the most rewarding and challenging aspects of being a leader in the school and the community. This year's essays were scored by a panel of teachers, and Allison Groves' essay received top honors. Allison is a fine student and will be a wonderful representative of our student body. 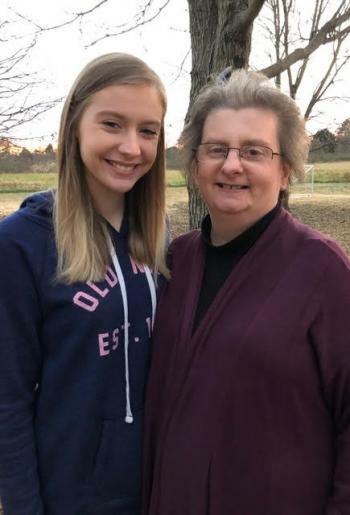 When we called Allison's mom, Sharon Groves (NHS grad 1980), to let her know about the selection, she shared that she was Nettleton High School's very first selection as a HOBY candidate! The Hugh O’Brian Youth Leadership organizations was founded in 1958. HOBY’s mission is to inspire and develop a global community of youth and volunteers to a life dedicated to leadership, service, and innovation. The State Youth Leadership Seminiar is the HOBY's flagship program. It allows high school sophomores to recognize their leadership talents and apply them in becoming effective, ethical leaders in their home, school, workplace and community. Students attend three- or four-day seminars and participate in hands-on leadership activities, meet leaders in their state, and explore their own personal leadership skills while learning how to make a positive impact in their community.